Foundations are literally what homes rest on, making them sound and stable. It's very important for you to take care of yours; renovating or replacing it whenever necessary. Unfortunately, there are many causes for a foundation to collapse or crack. It can be because of unstable ground, ground motion, and the age of the building it supports. Here are a few signs that indicate your foundation may need to be checked: cracks in your exterior masonry, unusual cracks in your interior walls, uneven floors, hard-to-close doors or windows, and water seeping into your basement. In some areas, you may also have to make your foundation water-resistant to clay soil. You must take the precautionary measure of installing a French drain to prevent water from accumulating around your foundation. Otherwise, you significantly increase the risk of foundation degradation and soil erosion problems. Although there are many methods for repairing or replacing your foundation, there's only one rule of thumb to follow. Choose a contractor who is up to the task of this important project. Do I need to repair foundation cracks or build a new foundation? 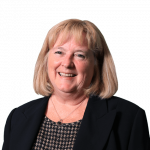 In the context of new construction, or following a major disaster, a structural movement, multiple major cracks, or other large-scale problems, you will need to build a new foundation or, perhaps, replace a section of it. 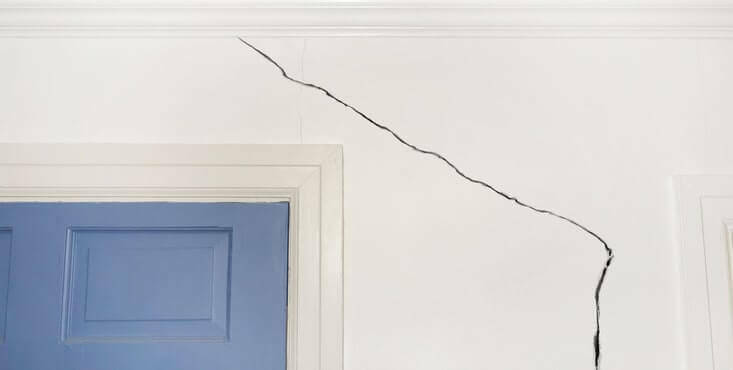 If, however, you simply need to repair cracks and/or the resulting damage, we invite you to consult our page on foundation crack repairs. How do I know if I need to replace my existing foundation? The best person to assess the current state of your foundation and guide you on the steps to identify the best solution is a building structural engineer. With the necessary experience with load calculations, a building engineer will be able to identify the weaknesses of your building. They can then make recommendations to you. They can let you know whether or not it's worth adding additional support or entirely rebuild the foundation. Following a major water infiltration, it’s possible your concrete foundation will have absorbed some of the water and weakened significantly, often resulting in cracks. Your insurance may offer you their contractors to do the foundation work. However, you should note that since they are footing the bill for the work, they will likely forego high-end service for a cheaper option. This may mean sub-par quality. Request the option of comparing with contractors found externally with Reno-Assistance. You have nothing to lose and everything to gain since our services are free of charge and with no obligation! For more information on renovations following water infiltration, please visit our after-disaster renovation page. 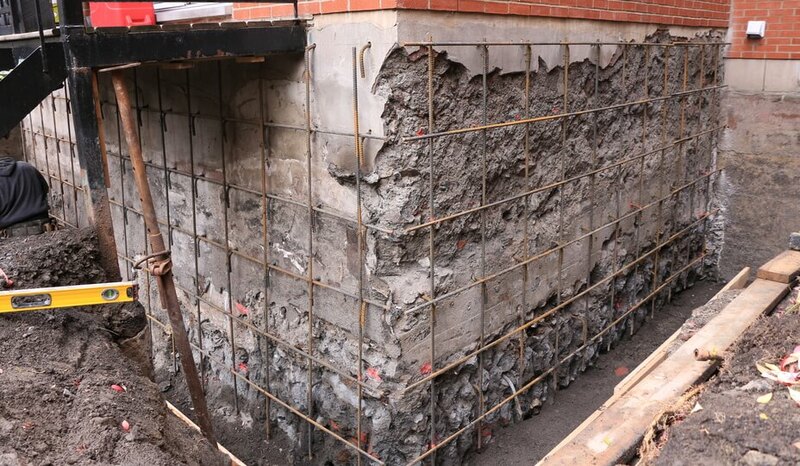 It’s possible to rebuild your concrete slab without having to rebuild your foundation walls and vice versa. If the problem arises from underground in the form of pyrite or pyrrhotite deposits, it may cause the slab to endure too much pressure. It will rise and eventually crack. In this circumstance, you will need to diligently follow the correct procedures to ensure the complete removal of pyrite from the affected area. Then you can redo the section of concrete for a durable finish. 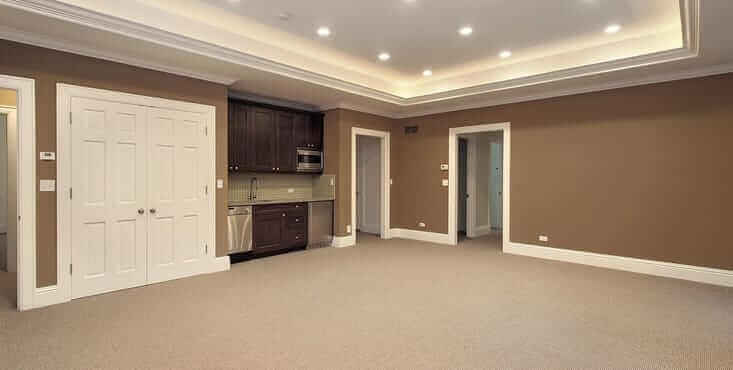 We have several experts in foundation construction and repairs that can help you identify and resolve the problem as a crucial first step in finishing your basement. This is a little less common but very effective. When there is significant damage to your home, a house hoist will be able to lift the structure. It can then be placed back on a solid new foundation. This can ensure a long life for your home and may be considered the best solution. It's a big investment but it pays off if you ultimately save your home. 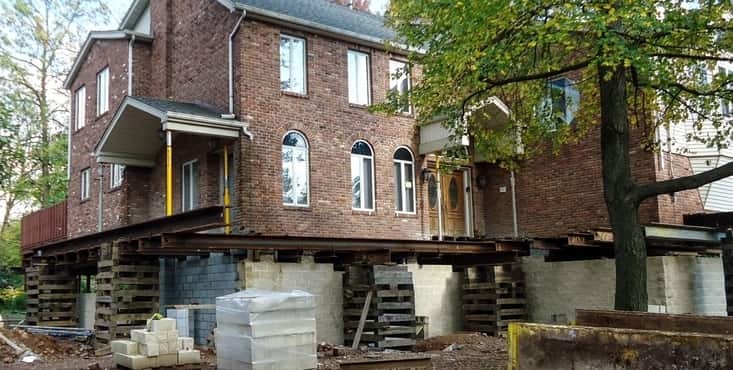 If you think you may need a house lift to fix your foundation problem, you should check out our home lifting page for more information. Choose only expert contractors for your foundation project! 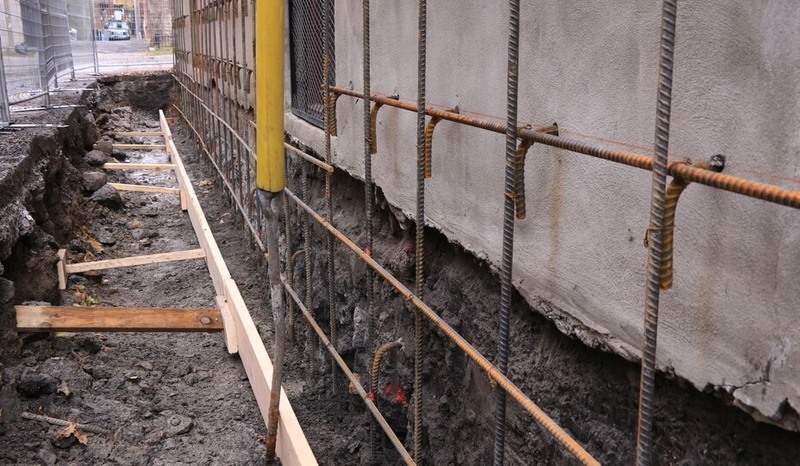 Rest assured that there are many foundation renovation solutions out there — and we have the perfect 360° Verified Contractors for the job you'll need. Our Renovation Advisors can guide you through every stage of your foundation renovation project. They can refer you to the best contractors. 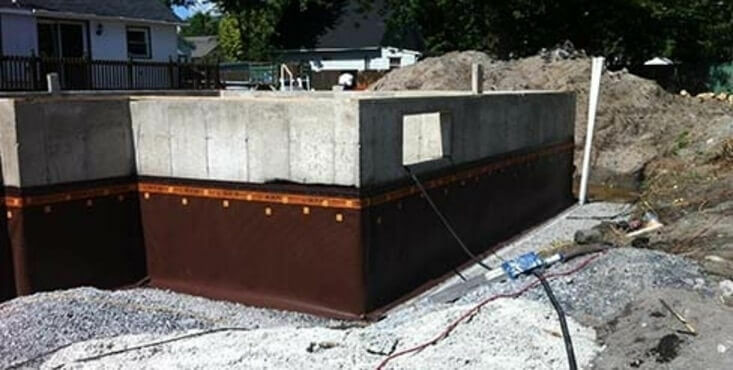 Whether you need to install foundation piles, restore and stabilize your foundation, waterproof your foundation, or with a French drain installation, we have the contractor for you. When you contact us, one of our experienced renovation advisors, who has already worked on thousands of projects, will review your project with you to identify your specific needs, refer you to up to three of our 360° verified contractors to get quotes, and even review them with you. In fact, your advisor will give you all the information you need to make an informed contractor choice. All for FREE!